Were you harmed by your Lyft driver? Unfortunately, the rideshare services that were once hailed for their convenience continue to be associated with physical assaults. Countless passengers have been harmed by Lyft drivers that have negligently and maliciously caused them harm. If you were physically assaulted by your Lyft driver, you have the right to take action—against the driver and against Lyft. If you would like to learn more about your right to file a lawsuit against Lyft after being a victim of physical assault by a Lyft driver, you must contact Kenmore Law Group as soon as possible. The attorneys at Kenmore Law Group have handled assault and battery claims against rideshare companies for many years—always fighting for the rights of the victim. If you were physically assaulted by your Lyft driver, you must contact our experienced lawyers as soon as possible. Our Lyft assault and battery lawyers will fight for your right to be compensated. Do not hesitate—contact us as soon as possible. Can I Sue if a Lyft Driver Attacked Me? Yes, you can sue him and you can sue Lyft if a Lyft driver attacked you. You, undeniably, have the right to sue the party who harmed you—the Lyft driver. But could you sue Lyft as well? In general, Lyft is not liable for the actions of their drivers due to the driver’s classification of independent contractors. In general, Lyft is not liable for the actions of their drivers. However, the rideshare company could be held accountable, especially if Lyft’s negligence contributed to the incident. How could Lyft be negligent? Lyft is required to do many things, such as subject their drivers to background checks and investigate complaints, for example. If a Lyft driver fails a background check due to a history of violent crime but is still allowed to drive for the company, Lyft could be found negligent and liable for any harm caused by the Lyft driver. Likewise, if Lyft receives complaints of physical aggression but fails to investigate the driver, the company could also be negligent and liable. Because of that, you could sue if a Lyft driver attacked you. For more information about your rights to file a lawsuit, you must contact our law firm as soon as possible. I was assaulted by My Lyft Driver. What Do I Do? Get a safe distance from the driver who attacked you. Take a screenshot of your Lyft ride, including driver and vehicle information. Report the attack to Lyft. Take photos of the physical harm you sustained. Seek legal assistance from an experienced Lyft assault lawyer. If the Lyft driver punched you or harmed you in any way, you must ensure that you follow the steps listed above. Did you forget to screenshot your ride? Did you fail to report the incident? If you did not perform all of the recommended steps outlined above, you might be worried about whether you could still file a claim. Even if you believe that you have compromised your claim because you failed to do everything listed above, you must contact our law firm for legal assistance. Our attorneys will do everything within the law to ensure that you can file a claim. How Can I Sue Lyft if my Lyft Driver Assaulted Me? Meet with an attorney experienced with Lyft physical assault cases. Discuss your attack with the attorney. Provide your attorney with the details of your claim, including any evidence you might have. Your attorney will investigate the incident with Lyft. Your attorney will send Lyft a demand. Your attorney will negotiate with Lyft to reach a settlement. As you can see, the most important thing for you to do if you are interested in filing a claim after the Lyft driver stabbed you is to take initiative. Once you contact our law firm and provide us with the details of your assault, our attorneys will handle your claim. If Lyft fails to make a reasonable settlement offer for your physical assault claim, our attorneys are prepared to file your lawsuit and take it to trial. After filing the lawsuit, the rest of the legal process will include discovery, mediation, and trial. Our attorneys will do everything within their reach to ensure that you are rightfully compensated for the harm suffered. $100,000—the victim suffered a jaw injury after he was physically assaulted and thrown into a trashcan. $106,000—the victim suffered a severe jaw injury after he was punched in the face at a party. $405,000—the victim was verbally and physically assaulted by his caretakers. $460,000—the victim was physically assaulted and stabbed in a parking lot. As you can see, claim values can vary. However, you should never use past verdicts and settlements to estimate the value of your claim—particularly due to the different claim factors that directly affect claim value. If a Lyft driver attacked a passenger, the passenger has the right to be compensated. After your Lyft attack, you must contact the attorneys at Kenmore Law Group immediately to discuss the value of your claim and start working towards recovering the compensation that you deserve. Regardless of the specific details of your Lyft assault and battery claim, you can trust that the Lyft attorneys at Kenmore Law Group are prepared to fight for your right to recover the highest amount of compensation available for your Lyft physical assault claim. If you are ready to fight for your right to be compensated, you must contact our attorneys as soon as possible. Were you the victim of assault and battery by Lyft driver? If you were attacked by your Lyft driver, you have the right to take legal action. You could file a lawsuit against Lyft for the assault committed by their driver. You might mistakenly believe that you cannot take action against the rideshare company because drivers are considered independent contractors and not employees; however, our attorneys can help you sue Lyft for the assault. 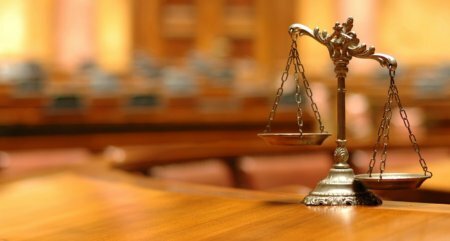 Whether you were a victim of physical assault or sexual assault, our attorneys are ready to represent you. If a Lyft driver sexually assaults a passenger, both the driver and Lyft could be liable just as they could be liable for physical assault. If you were victimized by a Lyft driver, do not hesitate to contact our law firm. The Lyft assault lawyers at Kenmore Law Group are prepared to fight for your right to sue and recover compensation for the harm you suffered. You must contact us as soon as possible. If you are interested in discussing your Lyft physical assault claim with a Los Angeles attorney with experience in Lyft driver assault cases, you must contact our law firm and request a free consultation or a free second opinion immediately. Our law firm believes that all victims should have access to legal representation; therefore, we provide free legal services to ensure that all parties harmed by Lyft physical assault can benefit from our services regardless of their financial situations. During our free consultations and free second opinions, a lawyer who is experienced in Lyft driver assault lawsuits will be available to evaluate your claim, answer all your questions, address all your concerns, and provide you with all the information you need to pursue your claim against Lyft. Even if you and your claim have been negatively affected by the incompetence of an attorney at another law firm, you can trust that an assault and battery lawyer for Lyft driver assault and battery will clear all the doubts and confusion created by the incompetent attorney with whom you previously spoke. If you are ready to file a lawsuit against Lyft, you must contact Kenmore Law Group at your earliest convenience. The free legal services discussed above are available because of our Zero-Fee guarantee. 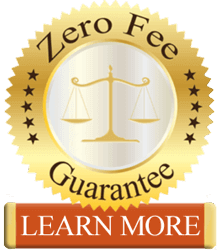 Our Zero-Fee guarantee ensures that our clients never have to worry about paying any upfront legal fees for our legal services. Since our firm is also based on contingency, our clients will only be required to pay for legal expenses after their claim has reached a positive outcome. If you do not win, you will not have to pay us anything. If a Lyft operator assaults a passenger, the passenger has the right to file a claim. If the Lyft driver physically assaulted you, you must contact Kenmore Law Group to exercise your right to sue—do not hesitate.